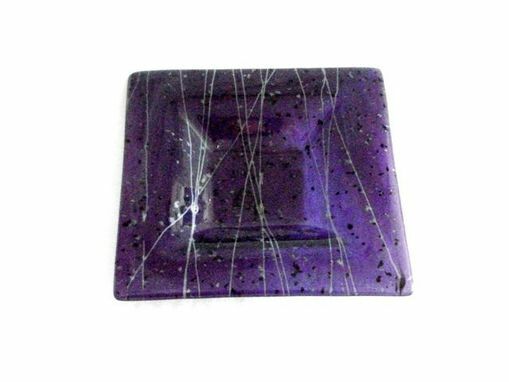 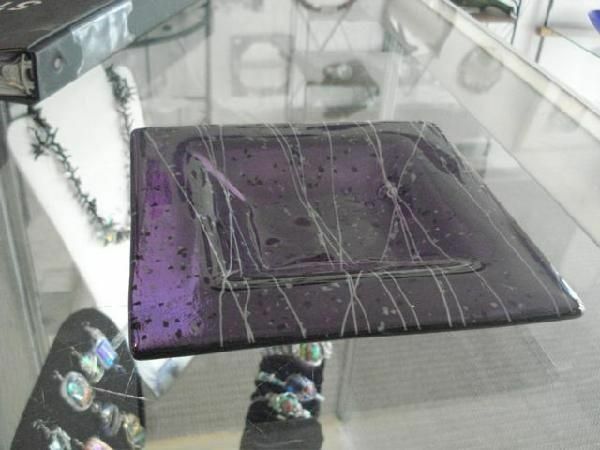 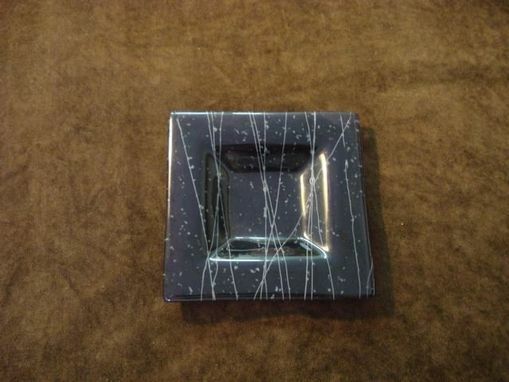 I achieved the unique look of this sophisticated candy tray with two pieces of glass; a layer of translucent black and white confetti glass atop speckled purple. 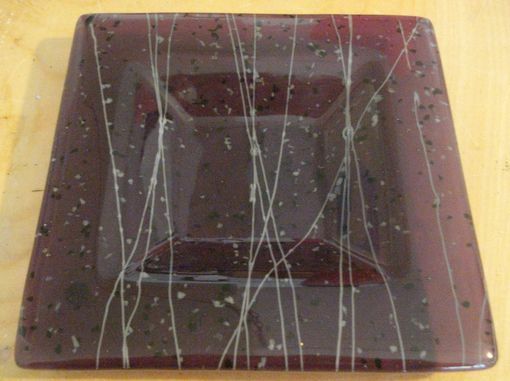 The streaks in the fused glass give it a touch of class and modernity, as well as increasing its visual impact, contrasting with the round specks in the second layer. 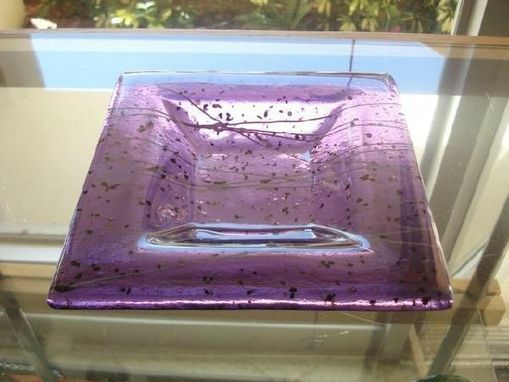 This exquisite yet low-key candy tray measures 6'' square.